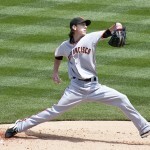 Lincecum’s pending Free Agency; what’s he worth? An interesting question was posed in an ESPN chat a while ago that I made a note on to come back to. Should the Giants offer Tim Lincecum a qualifying offer, or just cut him loose without any compensation ties this coming off season? 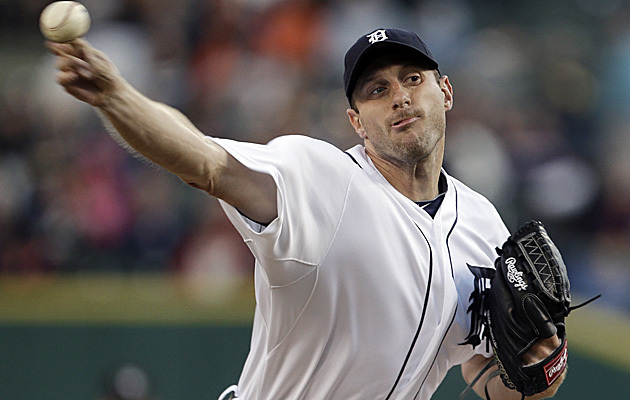 And a better question: if you were a GM looking for pitching this coming off-season, what would you offer him? First some stats. Lincecum is in the last year of a 2yr/$40.5M deal signed to avoid his last two years of arbitration. This is on the heels of a 2yr/$23M deal that took out his first two years of arbitration. He’s already north of $60M in career earnings before hitting his first pure free agent contract. But he’s at a cross-roads. Take a look at the progression of his career stat-wise: 2 straight Cy Youngs before even hitting his first year of arbitration (which, if you remember, was a Super-2 year because the Giants apparently cannot read a calendar; this little snafu cost them probably $20M in salary). 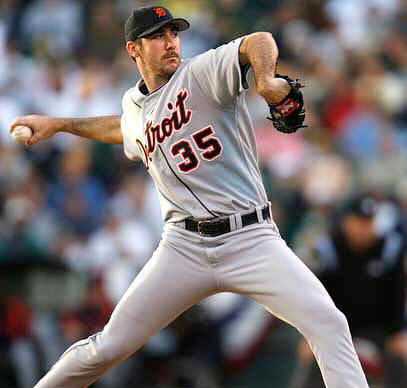 He went from an ERA+ of 171 in 2010 to last year’s bottoming out season, where he posted a 68 ERA+, a 5.18 ERA and was pulled from the rotation in favor of Barry Zito (an insult to end all insults) in the playoffs. 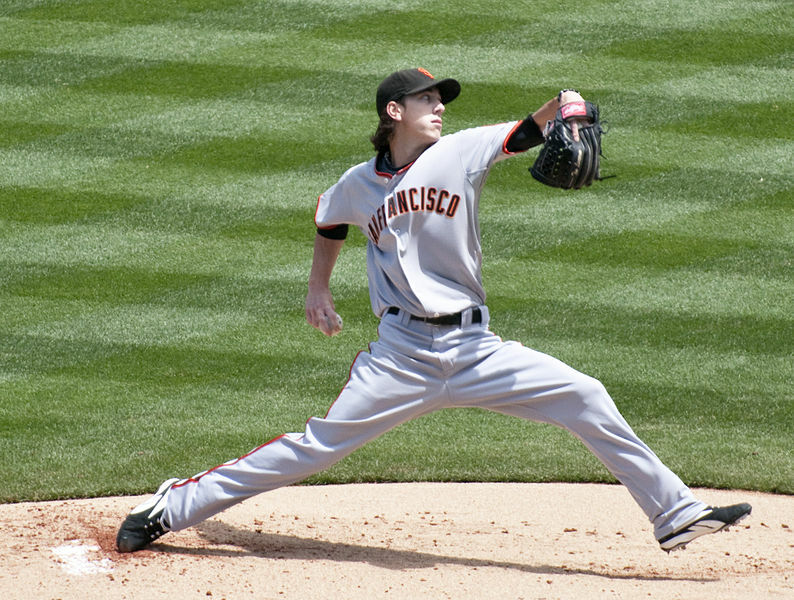 Garrett Hooe at FederalBaseball just posted a great analysis as well, including insight into Lincecum’s breakdown of mechanics, his velocity loss and other things. His analysis is great; no need to replicate it here. In 2013 he’s regained some of his performance but not enough; he’s still pitching like a 5th/6th starter. His month-by-month splits give no help: he was decent to good in April, awful in May, decent to good in June, mediocre in July and so far has been lights out in August. The offensively-challenged Nats just tagged him for 6 runs in 6 innings en route to his 12th loss of the season. Overall, his velocity is down, he has weird mechanics, and he’s clearly deviating from those weird mechanics as of late. What GM out there is willing to give him a shot, given those two parameters? Probably more than a few frankly, given his pedigree, but at what cost? Freddie Garcia pitched to an 80 ERA+ (matching Lincecum’s in 2013) but had a 5.18 ERA in New York. He’s also older (35 versus 29). He signed a combo minor/major league deal that pays him $1.3M this year. Dan Haren had an 89 ERA+, as 12-13 record with a 4.33 ERA last year and signed a one-year, $13M deal with the Nats. But he was a near Cy Young winner just two years prior and was hurt most of 2012 (that was what we kept telling ourselves when we all talked ourselves into this signing anyway). Jorge de la Rosa, coming off a lost season to injury but a great 2011, signed a 1 year $11M deal. Joe Saunders pitched to a 101 ERA+ between two teams, is slightly older and is almost the definition of a MLB average pitcher (career ERA+: exactly 100. career ERA: 4.20). He signed a 1yr $6.5M deal with Seattle. Speaking of MLB average guys; Gavin Floyd also owns a career ERA+ of 100, and had exactly that for the White Sox in 2012. His contract? 1yr, $9.5M. 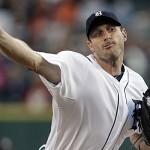 Jason Marquis was awful last year; 8-11 with a 5.22 ERA and a 72 ERA+. He got a 1year $3M deal to come back to San Diego and regain value. Fun fact: Marquis is a career 94 ERA+ pitcher, has a career ERA over 4.50, has a CAREER bWAR of 5.5 (that’s about half of what Mike Trout had in bWAR just last season) and yet has more than $50 million in career earnings. Wow. I’m in the wrong business. Joe Blanton was pretty awful for two teams in 2012, going 10-15 with a 4.71 ERA, yet somehow earned a 2yr/$15M contract extension from the Angels. Blanton, by the way, is 2-13 this year. I’m not sure how exactly Blanton got anything more than a couple million dollars, to say nothing of a 2 year contract. I question the sanity of the Angels management. Ok. So using these examples from last year’s FA market … uh, I have no idea what Lincucum is worth. I’d say he’s better than Blanton, so that mean’s he’s better than $7.5M/year. But that was such an awful contract that I don’t see how you can use it as a benchmark. Meanwhile, if Gavin Floyd’s consistency year over year is worth $9.5M, then how do you value the possible jeckyl and hyde that you’re going to get from Lincecum? If I was a GM, looking at his body of work and his last two seasons, I probably would end up somewhere between Floyd’s $9.5M and de la Rosa’s $11M on a one-year deal. As they say, there are no bad one-year deals, and if it goes south its just money. 1year, $10M on a career-saving flier taken by some NL team out there willing to roll the dice and spend some cash. Probably not the Nationals though, not after the Haren experience and considering what Taylor Jordan has given the team in a 5th starter role this year. You’d have to think Mike Rizzo heads into the off-season with his 3 big guns under contract, his 4th guy Ross Detwiler on the mend, with Jordan penciled into the 5th starter and with the likes of Nathan Karns, Taylor Hill, and Caleb Clay providing the first line of reinforcements in AAA. So I predict the Giants will not offer him a qualifying offer, thus cutting ties with one of their most iconic players in the last 25 years. It will be a sad time in San Francisco head-shops everywhere. I was thinking about the AAA rotation and how thin it stands to be for my “updated minor league rotation” post last week, when I was reminded that we may eventually get back at least one solid AAA starter if Brad Meyers fails to make the Yankees 25-man roster. Then, spurred on by this Seedlingstothestars.com post reviewing all the Rule-5 draft picks so far this spring, here’s a quick look at both Meyers and Erik Komatsu, who were both taken in the Rule 5 draft last December but who both may very well end up back with the team. Brad Meyers Spring Training Stats as of 3/10/12: No stats. He reportedly injured his shoulder lifting weights over the winter and, while he’s throwing off flat ground he’s yet to appear in a game. I’m guessing he’ll get stashed on the DL so the Yankees don’t have to immediately return him, waiting to see if they get an early season injury. Most pundits (examples here and here) seem to think that Meyers is competing for the Long Man spot in the Yankees rotation, what with the late off-season acquisitions of both Michael Pineda and Hiroki Kuroda filling out all 5 available starter spots for the team (not to mention the jettisoning of AJ Burnett). It is relatively difficult to see Meyers beating out the likes of Freddie Garcia or Phil Hughes (who themselves seem to be set up to be the 5th starter and long man, depending on the outcome of spring training battles) for this spot, and the rest of the Yankees bullpen seems set. But, without any spring training stats to go by and with his injury status up in the air, and the possibility of a DL trip looming, I’d say that its safe to say he’s not getting returned to the Nats any time soon. Erik Komatsu Spring Training Stats as of 3/10/12: .333/.385/.583 through 12 at-bats in 6 games, playing mostly right field. He’s got a double, a triple, and a SB. Not bad so far. Here’s a good analysis of Komatsu by a St. Louis focused blog upon his acquisition last December; he’s clearly competing for a backup outfielder spot, what with the team’s acquisition of new RF starter Carlos Beltran (moving incumbent Lance Berkman to the vacated 1B position for 2012). The Cardinals have a clear 4th outfielder candidate in Allen Craig but Craig is injured and most likely won’t start the season with the team. Komatsu is also competing with a couple other prospects for a backup outfielder job, but may very well stick with the team out of camp. I’d like to see Komatsu back; he was disappointed that he didn’t get much of a shot in Washington and he was coming off an injury most of last off-season. But at the same time this team has been looking high and low for a possible lead-off hitter/center fielder and Komatsu could (if you squint perhaps) fill that role. 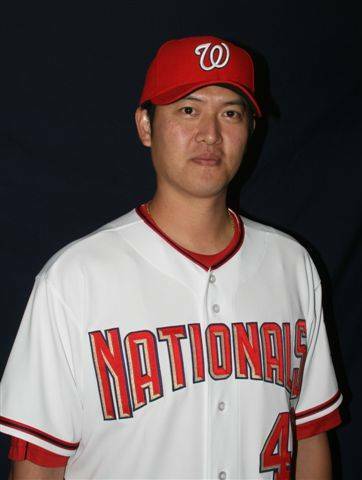 Wang re-ups for his 3rd year in a Nats uniform. Photo from Washington Nationals photo day. Here’s a weekly wrap up of Nats-related news items, with my thoughts as appropriate. MLBtraderumor’s Tim Dierkes announced that the cutoff for this year’s “Super-2” status is 2 years, 146 days. This cutoff means that two (and possibly three) Nats players made the cut and will be in line for a 4th arbitration season. Jordan Zimmermann made it by 8 days, Tyler Clippard by 2 days (! ), and Roger Bernadina (at least according to Amanda Comak‘s calculations; he’s missing from Dierkes’ list). In Bernadina’s case, it may not matter, as he’s out of options for 2012, isn’t likely to make the roster anyway and seems a certainty for a non-tender. We’ll save salary speculation for a future post as we get closer to the arbitration dates. 11/1 update: Dierkes responded to my comment in this blog posting and said that his personal calculations determined that Bernadina missed the cutoff. Tim Dierkes is a busy man; he has a series of FA analysis by position and posted his Center Field analysis over the weekend. Considering that the Nats have been looking for a quality center fielder essentially since moving to Washington, the analysis is a good read. The news isn’t good; Dierkes only projects ONE viable CF FA candidate: Coco Crisp (quotes later in the week though confirm that Crisp wants to stay on the west coast, making him a less likely candidate). He mentions Grady Sizemore as being worth a flier but no guarantee to be healthy. There’s some “thinking outside the box” candidates, guys who are older and who could hold on to CF for another year, but if the Nats were to do that we might as well either go with Jayson Werth in center or re-sign Ankiel. Trade potential BJ Upton is still there, and I’m sure he’s still available for the right price. Perhaps the Nats could package a bunch of prospects for both Upton and Shields. One other interesting name to consider: Melky Cabrera. Nice season, nearly a 20/20 guy. Getting a bit expensive for KC… maybe we could flip them some pitching surplus. Sammy Solis has marginally improved as the AFL has gone forward, putting in a 4ip, 1run performance on Oct 29th. Meanwhile, what is going on with Matthew Purke? In three appearances through 10/29 he’s given up 11 runs on 10 hits in 3 1/3 innings. Not good. We may have to just shield our eyes until spring training. Bill Ladson reported on a conversation he had with Mike Rizzo about the Nats off-season plans, and the takeaway seems to be that the team “has made no promises” to Adam LaRoche about playing time in 2012. I just have a hard time believing that the team plans on just ignoring 1/8th of their payroll (LaRoche’s $8M salary on last year’s $68M payroll) by signing a replacement. Rizzo pursued and signed LaRoche for a reason; good defense and adequate bat. At least, that’s the idea. Personally I have a hard time believing that Albert Pujols is leaving St. Louis, and I’ll bet that Fielder stays in the NL central as well (perhaps replacing Carlos Pena in Chicago as Theo Epstein‘s first big signing). ESPN’s Buster Olney believes the Nats will look at Grady Sizemore, recently having his 2012 option declined by the Indians, as a center field option. I suppose Sizemore is no more of a risk than it would be to resign Rick Ankiel, or to experiment with Werth in center and a player to be named (Laynce Nix?) in right. It would be ironic to see Sizemore come back to the team that drafted and developed him, only to trade him in an incredibly damaging deal for a few months rental of Bartolo Colon. Taken from a link in the previous Olney posting, the “Field of Dreams” property in Iowa used to make the movie of the same name is being sold. Visitors come by the thousands even to this day to see the makeshift field built into a century-old farmland. What I find neat is the apparent unassuming nature of the owners and the fact they’ve never really attempted to commercialize the property. In that respect, it reminds me of Cooperstown, which I visited for the first time this past summer (blog post in the works with pictures) and found to be amazingly quant and un-tarnished by the type of tourist-driven revenue generators you find at other places in this country. A post courtesy of Rob Neyer‘s blog about the seemingly imminent move of the Astros to the AL West points out a salient points the Houston fan base would have to put up with; more 9:05pm local starts as the team travels to play new rivals on the West coast. This likely will badly affect their TV ratings. Will the Astros take to having new divisional rivals in the Angels, A’s and Mariners well? It doesn’t seem to have really hurt the Rangers, who have the same issue. One has to think an intra-state, intra-divisional rivalry with the Rangers would be fantastic for both teams though. Imagine 18 games and state bragging rights at stake for a state that takes its bragging rights (in all matters, both sports and non) very seriously. All 8 of our free agents filed as soon as the FA filing period opened, as reported by Adam Kilgore. I’ve got a post coming up on thoughts on the 8 free agents and which I think we should look at resigning. Jon Heyman‘s first off-season column addresses some of the main “questions” facing baseball this off-season and he includes answering some of the major FA rumors. He lists the Nats as favorites for both Prince Fielder and CJ Wilson. Signing both would instantly add $30M of payroll to a team that already projects at somewhere in the $65M already basically allocated (we owe $45M in guaranteed contracts on the books now, probably somewhere in the range of $13M to clear our arbitration cases, and the rest being minimum salaries to 40-man guys). Are the Lerners ready to step up and pay this kind of money? Heyman’s article also notes that the last remaining issue in the MLB contract negotiations relates to Draft Slotting. Bud Selig has been pushing hard for this, as he feels smaller market teams get screwed by agents who know bigger market teams will pay the money for their guys. Meanwhile the league is apparently read to ditch free agent compensation picks as a bargaining chip. Certainly the union has to like this (especially for relievers, who get labeled type-A and suddenly can’t find work). Dodger Fan’s long nightmare may be over: Frank McCourt is apparently willing to sell the team for $1B in a deal that seems to completely remove him from gaining any additional benefit from the team (meaning, he has to divest the parking lots he was threatening to keep control over). Now if only Bud Selig would consider a decent replacement owner instead of one of Selig’s friends or whoever greased his palm most recently … ah modern baseball. 11/2/update: maybe there won’t be a Selig-appointee; apparently the team will be sold at auction. Great! That means an owner not necessarily hand-picked by Selig and his cronies. I’d love to see Mark Cuban get involved but apparently he was approached a few months ago and backed out. Baseballamerica.com had a front-page feature on the Nats on 11/1. FanGraphs’ top 15 Nats prospects wasn’t too surprising (also posted 11/1). I’m amazed how high AJ Cole is (called the top pitcher in the system, barely eclipsing the promise of both Alex Meyer and Matthew Purke). And I’m amazed how far Derek Norris has fallen. The article also points out something rather interesting: the Potomac rotation could be Meyer, Purke, Cole, Ray and then someone like Selik. Wow. SI.com’s Ben Reiter put out his list of the top 50 FAs available and has the Nats on Jose Reyes and Coco Crisp, but not Prince Fielder or Edwin Jackson. I guess I wouldn’t complain if we got both or either guy; either would ably fit into the lead-off spot that we’ve struggled with for years (and if we got both put them 1-2 … and move both Espinosa and Desmond’s .220 batting averages to the bottom of the order). And here’s Tim Dierkes’s top 50 FA list with guesses on destinations: He has the Nats mentioned as an interested party with most of the top names and signing only CJ Wilson of his top 50 list. And here USA Today’s Paul White‘s top 50 FA list, with the Nats projected to land Coco Crisp, Freddie Garcia (?!?) and Chein-Ming Wang. His comment as to why we’d sign Garcia? “Short term fix while the kids develop.” It makes one wonder if he’s seen the state of our starting pitching frankly. There’s little reason to doubt Milone or Peacock (or some combination of both) being able to fit into the 5th starter. Gold Glove winners announced; there doesn’t seem to be any egregiously bad winners like there was last year (Derek Jeter). There were some complaints from the likes of Rob Neyers about the AL shortstop selection, using the Fielding Bible awards as his source. But lets face it; the voters for the golden gloves probably spend about 20 seconds on it, when handed the form while dealing with a gazillion other items in September after a long season. They’re voting reputations, not Uzr/150 results. In fact i’d wager that fully 75% or more of the voters couldn’t tell you what Ultimate Zone Rating is or how it measures defensive capabilities. SI’s Joe Sheehan puts out a nice overview of each division’s “state of franchise” post, and his thoughts on the Nats are interesting. He has no idea if the team is going to be spooked byWerth’s contract and poor production, and suggests trading Tyler Clippard for a CF. Chien-Ming Wang has officially re-signed with the team, per this SI article late Wednesday night. We got details thursday: 1yr, $4M with some incentives. That’s a bit more than I predicted (I was thinking something in the range of $2.5M as a guess). But it still seems like a good deal, all things considered. I’ll take a $4M #4 pitcher versus the $7.5M Marquis cost, and he seems like he could very well improve on his 2011 performance. Byron Kerr has a rather effusive article on Sammy Solis (calling his fastball “lethal” and “high-velocity?” Sorry Byron; he’s got #3 starter stuff, not Randy Johnson-esque power) and his efforts to learn a new pitch; a regular curve-ball. 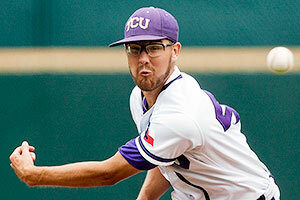 Solis has used a knuckle-curve that spins/breaks more violently, but is harder to control. He’s reached the point in his career where he needs alternatives to fastballs and change-ups that he can count on, and hopefully this helps him to the next level. This is a common theme; high schoolers with merely upper 80s stuff can routinely get away with blowing the ball by most of the opposing lineups of weakling 16-18yr olds and sometimes experience a reality check when going up against hitters who can make the adjustment. The Nats exposed Brian Bixler to waivers (i.e., designated him for assignment to remove him from the 40-man) and he got claimed by the Astros. Not a major loss (he had a 47 ops+ last season), but still someone who could have helped out next year had he passed through to our AAA roster and been able to be “stashed” in Syracuse. Best of luck to him. His position is easily replaced from within from someone like Lombardozzi, or on the FA market similar to our 2011 signings of Hairston and Cora. As the World Series ends, and as clubs start exercising (or more importantly, declining) player options, the FA market for starting pitching is starting to really take shape this off season. 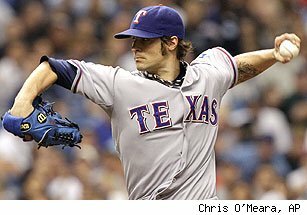 The Nats don’t “need” Starting Pitching as they have in the past, but a quality veteran starting pitcher would certainly be preferred to the question marks that we might have if we used the likes of Ross Detwiler, Tommy Milone or Brad Peacock as a 5th starter in 2012. Lets take a look at the starters on the market, put in some predictions as to what kind of money they’re going to get, and discuss whether or not the Nats should (or might) pursue them. For reference, here’s a list of 2012 FAs from mlbtraderumors, as well as the Elias rankings as of the end of the 2011 season. Remember, thanks to their end of the season run, the Nats 1st round pick is NOT protected and would be forfeited if they signed a type-A free agent. So the FA types will be of importance when talking about each of the pitchers below. Category: Aces (or nearly Aces) and Type-A starters. CC Sabathia seems certain to opt-out of his remaining Yankee contract and will almost certainly re-up with the team. 11/1/11: he has done just that. 5yrs, $122M, fewer years honestly than I thought he’d demand. He raises his AAV from $23M in the last deal to $24.4M and gets one additional guaranteed year. The structure of the deal pays him $23M/year for the first four years, then $25M the last. There’s an option for 2017 at $25M that he most likely makes if he stays healthy. CJ Wilson is also a type-A FA and seems set on testing the market. I would too if I were Wilson; I don’t think he’s an ace but he’s certainly going to be paid like one. He seems set to get an AJ Burnett type deal (5yrs $85M) or perhaps more. I hope the Nats don’t over-spend and get him. I’d guess he heads to Boston; his free-spirit personal seems to fit with that franchise and the team just got a shock bit of news that John Lackey, despite how bad he was in 2011, is out for the entirety of 2012 with Tommy John surgery. Roy Oswalt had his team option for $16M bought out on 10/25/11, but I’m guessing this is just a procedural move to re-sign him and keep the “big 4” together for a few more years. Oswalt’s on the wrong side of 30 and had a rough season of declining stats and missed starts, but still slots in as the best #4 starter in baseball and certainly didn’t come to Philadelphia for anything less than a World Series shot. I’d guess he re-ups for 3 years, $36M with the Phillies. Other pundits disagree and see him moving back to Texas to take over Wilson’s #1 spot on the Rangers rotation. Edwin Jackson: another guy whose post season performances seem certain to hurt his FA prospects. Big arm, good numbers, right age (only 28 hitting free agency), but a propensity to get hit hard and often. Mike Rizzo loves him, tried to trade Adam Dunn for him in 2010, and it wouldn’t be a stretch to see the Nats go after him again. Look for him signing with the Nats for 3 years and $28M. Unless a pitching-starved big-money team like Boston or New York offers him a ton more than that. I’m not really in favor of this deal for the Nats, but wouldn’t be surprised to see it happen. Yu Darvish: as I opined here, I really do hope that the Nats do not spend fools money after Darvish. A posting fee in the $40-$50M range, then at least that amount to sign the guy. I know he’s got great numbers in Japan. So did Dice-K. There’s a halfway decent chance he doesn’t even get posted this year, so all ink spilled over Darvish could be moot. Baseball Prospectus put out a great article about Darvish, including lots of analysis and links to others who share the same concerns that I do. If you’re in the “pro-Yu” camp there’s a couple good articles on places like fangraphs that support your case. Mark Buehrle is hitting the FA market, but i’d be shocked if he leaves Chicago at this point in his career. I’m sure he’ll take a team friendly deal that extends his career out 3-4 more years, at which point he may very well retire a one-franchise guy with a surprisingly high number of career wins. Hiroki Kuroda just finished off a sneaky-good season, going 13-16 with a 3.07 era. The problem is that he’s 36 and had a ton of innings on his arm in the Nippon league prior to getting here. He’d be a risk. The Dodgers franchise is a mess but its the only team he’s known, and I’d guess he wants to stay on the west coast. I’d guess he gets a decent 2-year deal from Seattle if the Dodgers can’t find the money. Javier Vazquez looked washed up during last year’s FA market analysis, having lost 3-4 mph on his fastball and getting shelled in NY. However, he had a great bounce-back season in Miami and i’d guess he re-ups there for the new season and new stadium. However, there’s word out there that he may retire. Hard to see a guy who just put in a decent, comeback season retire though, especially if guaranteed money is thrown around. Bruce Chen has very quietly put together two pretty good seasons for the Royals all things considered, but will be 35 and may see a precipitous drop in production. He’s not any better than the options the Nats face now, when you consider price and productivity. Freddie Garcia had a revelation of a season for the Yankees; I’d think he stays there as insurance for 2012. Still hard to believe the Yankees won 97 games giving no less than 51 starts to Garcia and Colon. Bartolo Colon is in the same boat as Garcia, but is 38 to his 34 and may be cut loose to find another team willing to give him a shot with his stem-cell enhanced shoulder. Joel Pineiro has never stayed healthy long enough to reach his potential, and he just laid an egg in his contract year in LA. I’d be surprised if he got anything more than a 1yr $5M deal. Aaron Harang: beware the veteran pitcher who goes to San Diego and suddenly looks like a #2 starter. 2011 numbers: 14-7, 3.64 era. Home/Away splits? 3.05 era at home, 4.70 on the road. I’m sure he’ll get some money, somewhere for a back-of-the-rotation job. Livan Hernandez reportedly offered to move to the bullpen for the Nats, in order to stay here. Unfortunately he pitched so poorly, and takes so long to warm up, that using him in extended relief really isn’t much of an option. My guess is that Livan returns to his roots in Miami as the Marlins’ 5th starter on the cheap and enjoys one more spin around the league. Jason Marquis, in a remarkable sense of timing by the Nats, was traded for Zack Walters and then promptly broke his leg. Its too bad for Marquis, who clearly was using 2011 to regain some market value for his free agency this off-season. At this point he certainly won’t be getting any 2year deals for 8 figures. I’d guess he gets a 1yr $4M deal with some incentives, if that. Chien-Ming Wang, by virtue of being in THIS section and not the next, has already had a successful 2011. He is what he is right now; a guy trying to reclaim former glory and his former sinking fastball, and a guy who looks like a #4 starter who has capabilities of improving as he gets more and more innings into his repaired shoulder. My guess is that he repays the Nats for nursing him back to health while providing him millions in salary and signs for a 2-year deal worth roughly $6-7M overall. Tim Wakefield; I would have predicted him to possibly hang up the spikes until news of Lackey’s injury and Dice-K’s question mark. Wakefield’s stats have really declined the past two years, but Boston seems in need of a back of the rotation guarantee that Wakefield’s $4M standing salary can fill, cheaply. Brad Penny, Jeff Francis, Paul Maholm, Chris Capuano, Vicente Padilla, Rodrigo Lopez, Zack Duke, Aaron Cook, Kevin Milwood, Dontrelle Willis and anyone else not already mentioned: all of these guys were either so mediocre in 2011, went unsigned in 2011, or are so old, that i’d be surprised if more than just a few of them got major league deals for 2012. Category: Reclamation Projects/Injury recovery guys. The Nats have a history of pursuing former glory with recovering stars. Would they try it again? Adam Wainwright: his injury in spring training 2011 amazingly didn’t really cost the Cardinals, who marched right into the World Series without their #2 starter. Wainwright’s injury couldn’t have been worsely timed in terms of his contract options; St Louis dodges a major payroll bullet by being able to opt out of millions of dollars of guaranteed money. But Wainwright is free to look elsewhere. Will he? Doubtful: i’d guess he signs a one-year incentive-laden contract with St. Louis aimed towards regaining his career. 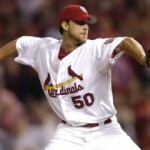 10/26/11 update: the team exercised its options on Wainwright, meaning he’s off the market. Justin Duchscherer: had some lights out seasons, but missed all of 2009 and 2011 with injury. Will anyone take a flier on him? Chris Young and his 6′ 10″ faster-than-it-seems fastball only got 4 starts (2 against the Nats) before getting shoulder surgery. Seems to run in the NY Mets family (see Santana, Johan). It wasn’t as bad a surgery as it could have been, and he should return for 2012. He’s now missed games in 4 straight seasons and its buyer-beware. Jon Garland had season-ending surgery in July after just 9 starts, but when healthy is a 105 ERA+ guy, a 4th starter who can eat innings and be solid. He had great durability up until this injury, having not missed a start since 2002. But now its not clear if he’ll even be ready for 2012. Ben Sheets is in almost the identical spot as Duchscherer; ironically both have a history of pitching in Oakland. Rich Harden; mr Day Game split (or Mr. Unreliable Injury guy, if you play fantasy baseball) just finished yet another unproductive season with a 5+ ERA pitching in one of the best pitchers parks in baseball. He seems set for a minor league contract for one last flier at a comeback. 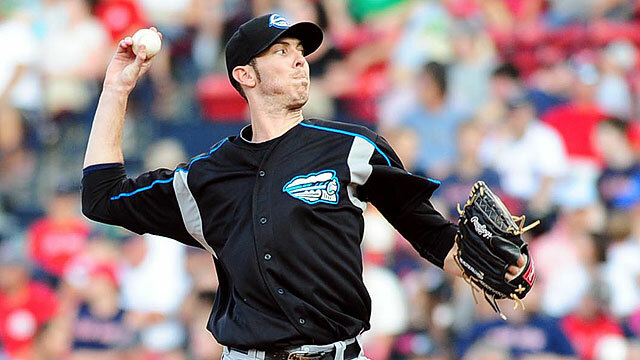 Eric Bedard wasn’t half bad for Boston down the stretch, with a 9.0 k/9 rate on the season. But at the end of the season he was yanked early in two critical games and i’d bet the team won’t be willing to roll the dice with him again. We’ll see who overpays for his injury-plagued services in 2012. 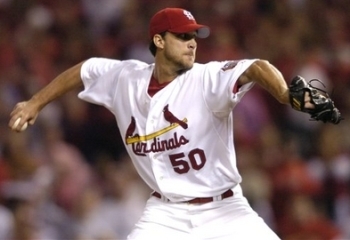 With Boston’s sudden shortage of starters, look for Bedard to resign in Boston and start the year as Boston’s #4. Brandon Webb: got some looks in spring training 2011, including from the Nats, but then went under the knife yet again. You can usually come back from TJ surgery. Shoulders are tougher. He may be done. Predictions: I’d guess the Nats throw their name in the mix for Wilson but get scared off by his price tag. Maybe we’ll post a respectable figure for Darvish. But Rizzo goes hard after Jackson and we get him. Meanwhile Rizzo also signs one of these injury reclamation projects to a nominal guaranteed contract to see what pans out. What is the “ceiling” of the various Nats pitching prospects? Its nearly impossible to project high-end pitching prospects, the further they are from the minors. Think of someone like Colten Willems, our #1 draft pick in 2006 who retired before ever getting out of high-A. Or perhaps Josh Smoker, a supplemental 1st rounder in 2007 who struggled with injury and is now a situational lefty in the high-A bullpen, four-plus years into his pro career. But, it is fun to think about the upper-end, best case scenario and what it would mean for this team. I’m sure that this post will garner a ton of disagreement; feel free to make your case in the comments pro or against what i’ve posted. I know that some people are already drinking the kool-aid on September call-ups Peacock and Milone, but I’m not (read below for more). I’ve included all our current starters and most of the upper-end draftees over the past few years. #1 starter is one of the best 15-20 pitchers in the league, someone who you’re genuinely surprised if he performs badly on a given day, mentioned in Cy Young conversations. Verlander, Lincecum, Halladay. #2 starter: a slight step down from your elite, but still a reliable starter. The “robin” to the ace’s “batman.” I’m thinking Matt Cain, Chad Billingsly, Cole Hamels, Clay Buchholz as examples. Not the best guy on their rotation but a great #2 guy. #3: better than your league average pitcher, someone who is solid, consistent innings eater and who routinely gives you quality starts but not much more than that. I’m thinking someone like a Jonathan Sanchez, Derek Holland, Edwin Jackson, someone like that. #4: is basically someone defined as someone who’s a slight step above the back-of-the-rotation guy, a mlb veteran guy who knows how to pitch but doesn’t have the best stuff to really go much beyond. John Lannan is a great example of a #4 starter. Freddie Garcia, John Lackey, Jon Garland, Jason Marquis are other examples. #5: just good enough to fill out your rotation. Starters at the back end who all you’re hoping for is 6 innings and keeping your team in the game. On our team, Livan Hernandez, Tom Gorzelanny, Craig Stammen in past years. #1 Starters: Stephen Strasburg, in my mind, is already an “Ace” starter in this league, ranking up among the 15-20 best arms out there. When he’s healthy. In 2010 he posted MLB-best k/9 rates and would have clearly led the league in some sabremetric measures of pitching in his debut season had he qualified. But health is the big question mark; is he going to become the next Justin Verlander or the next Mark Prior? Only time will tell. #2 Starters: Jordan Zimmermann has achieved Robin to Strasburg’s Batman in this rotation, and seems set to be a pretty good rotational guy for the next few years. AJ Cole pitched well in his first full season, is a big kid who was touching 96 in HS. He could be a big arm who slides into the rotation as a dominant arm. Some think his ceiling is even higher than a #2 starter. #3 Starters: Matt Purke was a 1-1 talent (1st round, 1st overall draft pick) before suffering shoulder bursitis, and the Nats took a gamble on him. But its a great gamble; he has Ace material, throwing mid 90s from the left hand side with completely dominating stuff. He was rated BA’s #14 prospect coming out of high school and had a $4M signing bonus deal turned down by MLB. He allowed the Nats medical staff to do a dye-injection MRI and were satisfied with the results. His deal could be remembered as a steal of the 2011 draft if he pans out. However recent scouting reports have listed his stuff as “ordinary,” so a #3 starter seems like a good middle ground for now. If his arm is really ok, he’ll start to show it next spring (hopefully at high-A) and he’ll rocket up the prospect lists soon enough. #4 Starters: Perhaps one could argue that John Lannan is a #3 starter but I don’t believe so; I think he’s a solid, underrated #4 starter on a decent rotation. If you compare Lannan to the #4 starters on a number of teams, he compares favorably, and you’d clearly take Lannan if given the choice. The problem is; he’s just not flashy. We’ll never get appropriate trade value for him because his W/L numbers are mediocre and his K/9 rate isn’t that impressive. I’d guess that he sticks in our rotation until he reaches free agency, at which point its likely that some of our developing power arms will be ready to take over. Robbie Ray had a fantastic debut season and may even be better than a #4 ceiling; certainly he put up as good of numbers as his 2010 draft classmate AJ Cole, but his stuff doesn’t project as highly. Here’s where a number of arguments are probably to be had, starting at the #5 ceiling. #5 Starters: Ross Detwiler really has yet to fully show his full capabilities, but lefties that throw mid 90s don’t grow on trees. 2012 is a make or break year for him with this organization, and it wouldn’t surprise me to see him moved in the off-season so that the team doesn’t have to deal with his option status when constructing the rotation next spring. I put him with slightly better stuff than the 4-A guys below. I’m still not sold on him as a MLB starter, but saw a lot out of him this season that shows improvement over where he was in the organization in 2010. 2011 draftee Kylin Turnbull was overshadowed by the high-end talents drafted ahead of him, but he’s lefty, throws well and is projectionable. Thanks to Sean Hogan‘s excellent draft research, some scouting reports are here. Right now it sounds to me like Turnbull has a bit more power than someone like Milone and perhaps can get more missed bats. For now i’m listing him as a #5 starter ceiling; if he was a righty he’d probably be in the MLB bullpen category. Lastly Sammy Solis projects thus far as somewhere between a a #3 range starter, a mid rotation guy who has 3 plus pitches and can be a lefty work horse out of the rotation and a back-of-the bullpen guy with mediocre stuff but good constitution. He may not have the best stuff, but being lefty and being a solid, Mark Buehrle build could mean he’s a slightly better version of John Lannan for this team. We’ll see how he does in AA in 2012. 4-A starters: (for those that don’t know what is meant by “4-A or AAAA,” it means someone who is better than a AAA pitcher but not quite good enough to get out major league hitters on a consistent basis). Tommy Milone had a great September debut and has impeccable control in the minors, but I don’t see him having good enough stuff to consistently get major league hitters out. Now, I could be wrong and he could have Greg Maddux-esque control, at which point he doesn’t need mid-90s heat. But from what I saw in his September starts, I don’t think he’s got what it takes to stick in the majors. Brad Meyers could end up in the same position as Milone; a guy who dominates in the minors but who can’t cut in the majors. 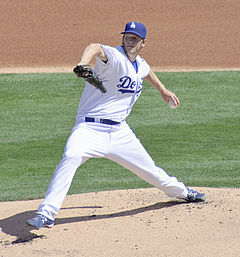 It doesn’t look like he’ll even get a shot at the 2012 rotation with the crowded 40-man roster. Lastly Denny Rosenbaum seems cut from the same cloth as Milone; a softer-tossing lefty without great K/9 rates in the low minors but who is effective enough at getting guys out. Bound for the bullpen (but good enough to stick in the majors): 2011 draftee Alex Meyer is going to go one way or the other: he’s either going to be a wild man out of the bullpen or a near #1 starter. Scouts seem to be pretty split as to which way he’s going to go. Right now, based on the struggles he had early in his college career, I’m guessing he struggles to maintain his forward momentum and ends up a Cole Kimball-esque hard throwing option out of the pen. Meanwhile, what to make of Brad Peacock? I know he just finished off a fantastic minor league season and had two effective September starts (giving up just one run in 12 innings over two starts). But to me I see a guy with good life and heavy reliance on one pitch (a 4-seam fastball), a good 2nd pitch (change-up) no confidence in his third pitch (loopy curveball) and no fourth pitch. To me, that says bullpen. Lastly i’m clumping in Craig Stammen here, who couldn’t really cut it as a full time starter in 2010 and spent the entire 2011 season starting in AAA. I think he can be an effective guy out of the MLB bullpen if he’s given the shot. I like Stammen and perhaps this is a bit high of a ceiling for him; i wouldn’t be surprised a bit if he misses out on the 2012 bullpen and slips into minor league free agency frankly. Minors starter: This list of guys looks like they’re destined to be “organization guys” for this team. Yuniesky Maya was clearly not the pitcher the team thought he was when he got his 4-year contract; he’s gotten a couple shots at the majors over the past two seasons and has not capitalized. I think he’s going to be ensconced in the AAA rotation for the near future, unless someone can figure out how to trade him. He certainly isn’t a better MLB starting option than any of the guys listed above him. Shairon Martis mostly earned this fate when he successfully passed through waivers and off our 40-man roster. His worth ethic and conditioning came into question in the organization, and he went from a 22yr old starter in 2009 to a AA starter in 2011. He had pretty good numbers in AA, but that doesn’t really prove much for a guy who was in a MLB rotation two years prior. Jack McGeary is finally back from two years of mediocracy and Tommy John surgery, but faces a pretty steep climb back into future rotational pictures. For now, i’m guessing he struggles to ever make it, topping out as a minor league starter once he hits his free agency period. For now, i’m also classifying both Taylor Jordan and Matthew Grace as org guys, continuing to rise up as 4th or 5th starters but never really making an impact. Minors bullpen: Lastly, i’m listing both high-end draft picks of the past few years Trevor Holder and Josh Smoker as topped out as minor league bullpen guys. Smoker seems like he’s already there, having come back from an arm injury but still only having risen to high-A in his fourth pro season. He put up good numbers as a loogy/bullpen guy this year, and perhaps his real ceiling is the MLB bullpen, but getting a loogy out of a first round draft pick is still a major disappointment. Holder was clearly an over-draft in the Strasburg year, getting picked up in the 3rd round when he wasn’t even in some team’s top 10, and has done nothing to earn his draft position. He posted a 5.77 era in high-A this year, repeating the level and leaving the team clearly in a conundrum as to what to do with him. 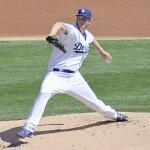 I think he is destined for a bullpen role in 2012, perhaps in high-A again, and may be short-lived for the franchise. Is there someone I’m missing? Agree, Disagree? Discuss in the comments section.